The proximity and magnitude of a probable seismic event. The first factor, Seismic Design Category, is based on the anticipated use of the structure and occupancy, and leaves no room for interpretation. The IBC usually puts a hospital among the most rigorous design categories. Similarly, the third factor, probability of a seismic event, is based upon published information. The real work goes into determining the second factor; Seismic Site Class. When designing a hospital, it is important to get the second factor, Site Class, right. Site Class is determined by the shear wave velocity of soil and rock within the upper 100 feet at the site. This can be estimated from Standard Penetration Test N-values (STP N-values), the geotechnical engineer’s experience and laboratory test results. But estimation of such a value must exercise conservative assumptions, and the cost of such conservative estimates may be very large for structures such as hospitals. Direct measurement of shear wave velocity can be accomplished, but at greater expense than simple estimations. When is it appropriate to directly measure this critical parameter, and when will estimations from SPT N-values suffice? In 2014, Piedmont Healthcare began planning and designing a new inpatient tower and subsurface parking deck at the Piedmont Atlanta Hospital. This top-rated acute-care community hospital, originally built in 1954, needed a major update. The project, totaling more than $600 million, included approximately 900,000 square feet of new construction and 47,000 square feet of renovations. Terracon’s skilled consulting and specialized field services allowed the seismic design for the hospital to be optimized, and resulted in estimated savings of hundreds of thousands of dollars. This hospital is a IBC Seismic Design Category IV, requiring the highest level of protection during seismic events. Understanding the impact of conservative estimates on this large structure, the Site Class was initially established during the geotechnical exploration using surface measurement techniques of shear wave velocity, a common approach for typical projects. 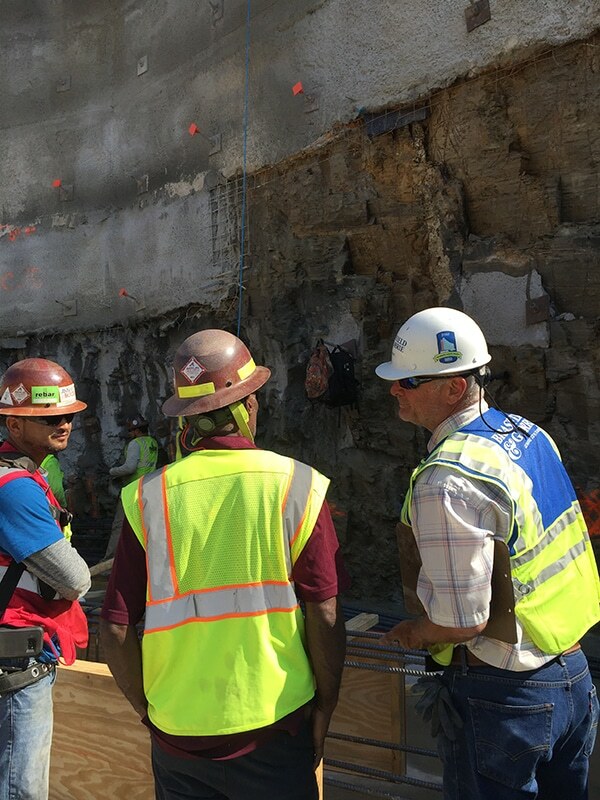 This geophysical testing approach resulted in a Site Class C. This Site Class requires significant foundation and structural elements to address the stability of the structure in the event of an earthquake. The initial structural designs for the Site Class C conditions would require a significant outlay of funds to meet structural code requirements. Thinking proactively, Terracon collaborated with the structural engineer and architect to consider options that would alleviate this costly condition. We developed an innovative solution to the challenging seismic evaluation and approached the problem from two fronts; reducing the amount of softer materials below the building and refining the shear wave velocity measurements with more rigorous geophysical site characterization. The bottom floor level was lowered to within 10 feet from the top of rock. In addition, a more comprehensive downhole seismic test was employed to optimize shear wave velocity measurement. This testing approach utilized a single deep borehole drilled into bedrock using a downhole pneumatic hammer. A temporary casing was inserted to protect a sensitive geophone that was lowered to test depths throughout the profile. The geophone measured the first-arrival times of surface-generated shear waves. By comparing shear wave arrival times at different depths, the average shear wave velocity profile, well into bedrock, was calculated. Staff from three Terracon offices worked together to perform the downhole seismic testing and successfully determined the necessary conditions were present to recommend a more favorable Site Class B. Following work on the design phase, Terracon’s Materials professionals addressed specific needs of construction materials testing and special inspections. Our partnering approach, knowledge of site conditions, the use of experienced field personnel, and multi-year commitment to working with the design and construction team, all contributed to Piedmont Healthcare’s selection of Terracon for construction materials testing and inspection services. John Lawrence, P.E., is a geotechnical consultant in Terracon’s Atlanta office. 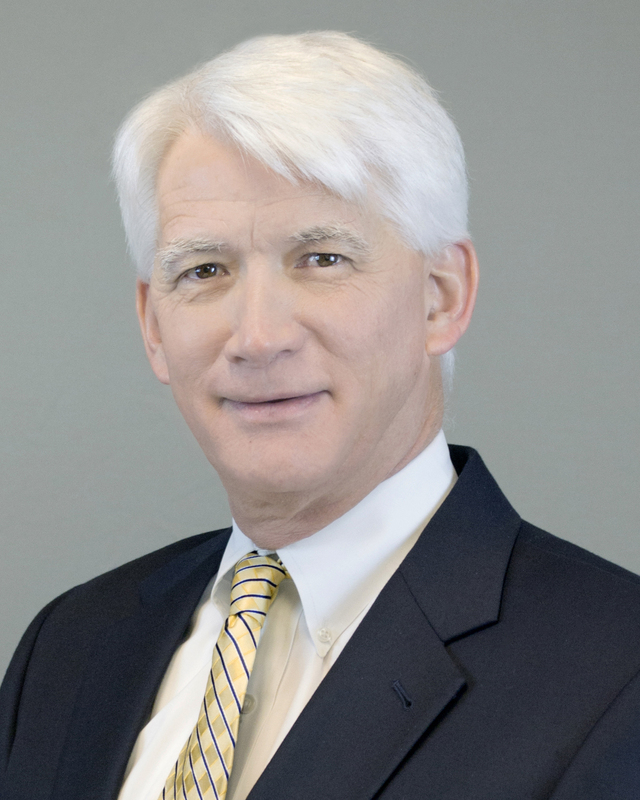 John helps lead a diverse practice including engineering services for projects ranging from multi-family, commercial retail, medical offices and hospitals, to state office and university facilities.